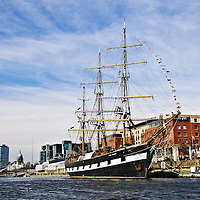 Beautiful travel stock photography from around Ireland, County Clare, Galway, Kerry, Limerick and the city of Dublin. 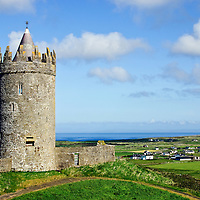 County Clare Ireland is famous for its rugged and dramatic coastline which includes the Cliffs of Moher and the barren Burren area that is home to the Poulnabrone dolmen. There are also many castles in the area, including Bunratty Folk Park, Knappogue Castle and Craggaunowen - The Living Past, Prehistoric Park. County Galway in Ireland is famous for the beautiful parkland of Connemara. 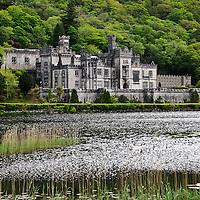 Connemara is also home to the stunning Kylemore Abbey and gardens, featured in this gallery. County Kerry in Ireland is known for its dramatic landscapes and sweeping coastal vistas. 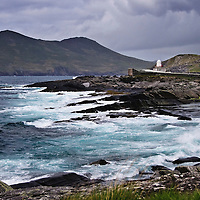 County Kerry has three main driving loops - The Ring of Beara,The Dingle Peninsula and The Ring of Kerry. County Kerry is also home to Killarney National Park. 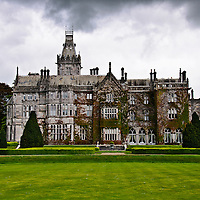 County Limerick in Ireland is famous for such tourist attractions as King John's Castle, the picturesque village of thatched cottages called Adare and Adare Manor. Dublin is the capital of Ireland. It is famous as the home of Guinness, Trinity College and Dublin Castle. The River Liffey bisects the city. Northern Ireland is part of the United Kingdom. 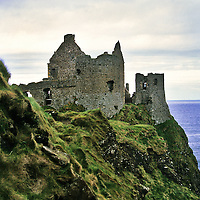 It is famous for the Giant's Causeway and castle's such as Dunluce.